“Experience Hendrix”. What, you may ask would be the recipe for doing that? 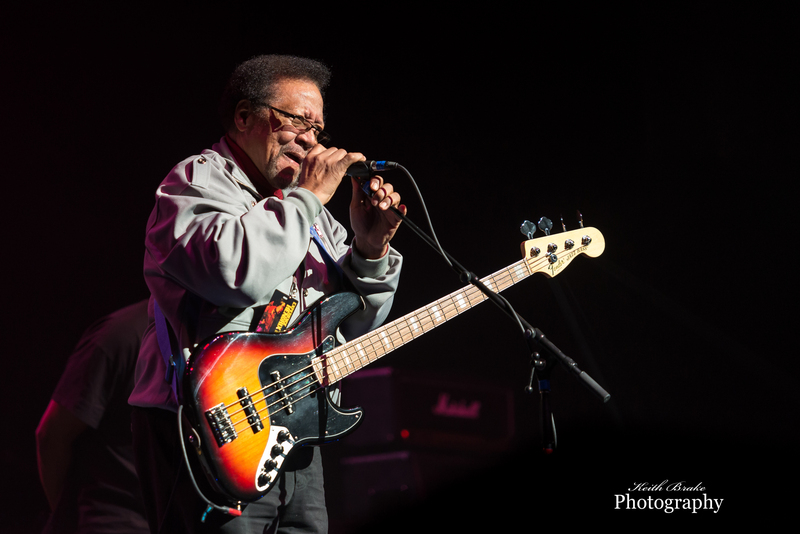 Well, you start with Jimmie’s sister, mix in his military cohort and bass player Billy Cox, and top it all off with some of the finest and most talented players in the world. The “Experience Hendrix Tour 2017” stopped at the Peabody Opera House in Saint Louis last night, and wow, what a show. With names the likes of Zakk Wylde, Kenny Wayne Sheppard and Buddy Guy anyone would be expecting a terrific show. But that is just the tip of the iceberg. 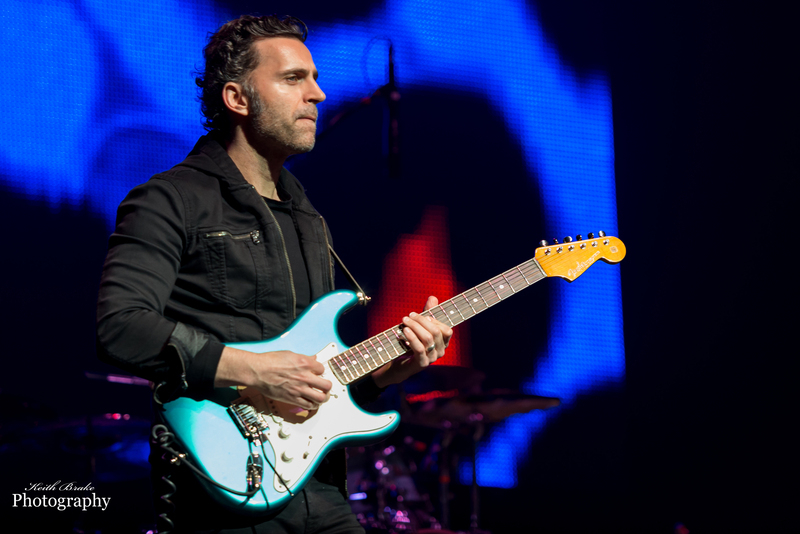 Following a short introduction from Jimmie’s sister, Janie, Billy Cox and Dweezil Zappa started the festivities with “Freedom” and right away the atmosphere was buzzing. The action would only crescendo as the evening progressed. Following a rousing version of “Stone Free” Henri Brown treated the crowd to his version of “Foxy Lady” which instigated noticeable dancing in the seats and a room full of smiles. Henri really is quite an entertainer. 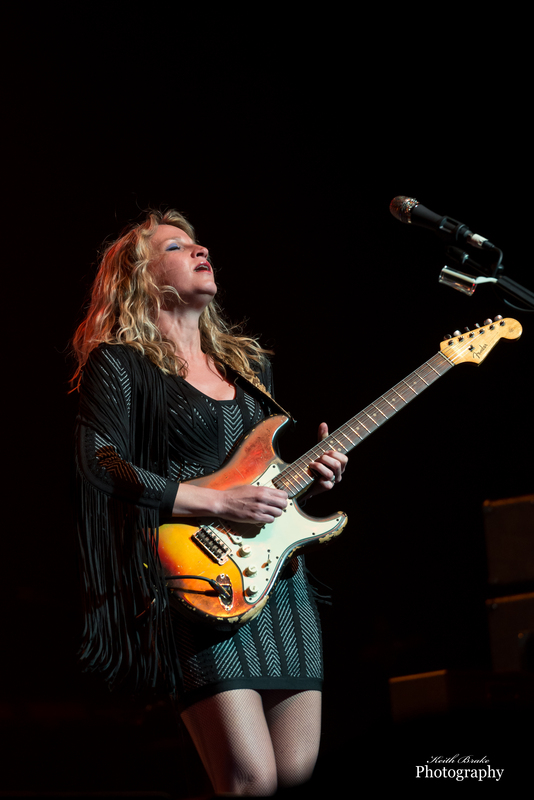 Ana Popovic joined the party with her Fender Stratocaster for her interpretation of “House Burning Down” and the Serbian beauty did not disappoint. Ana’s guitar stylings are strong and pure; no doubt Jimmie was smiling down on her. The evening of celebration was touched by a moment of sadness as we all had recently learned of the passing of “The Father of Rock”, Mr. Chuck Berry. This news inspired a rousing and powerful version of “Johnny B. Goode” Performed by Kenny Wayne Shepherd and Noah Hunt. The performance of the Chuck Berry classic was unrehearsed but it did not matter, it was flawless and brought the crowd to its feet. Kenny Wayne Sheppard and Beth Hart shared the stage for the classic Hendrix tune “Castles Made of Sand”, a definite highlight of the evening. Kenny Wayne kept his place as Beth excited, to be rejoined by Noah Hunt. Sheppard and Hunt proceeded to wow the crowd with a stellar version of “Voodoo Child”. Zakk Wylde closed the first half of the show. His performance cannot be described as mellow. Quite simple, he is a beast and a crowd favorite. 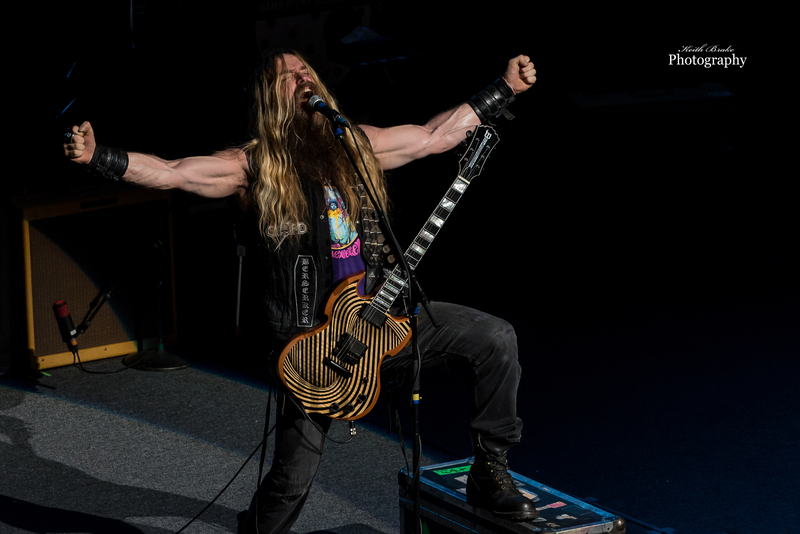 Zakk treated the crowd to solo after solo, roaming the stage from side to side as to insure that no fan was overlooked. He entertains with an energy that is unparalleled and it is more than obvious that Zakk loves his people. He exited the stage into the crowd for an extended solo during “Little Wing” to mingle. 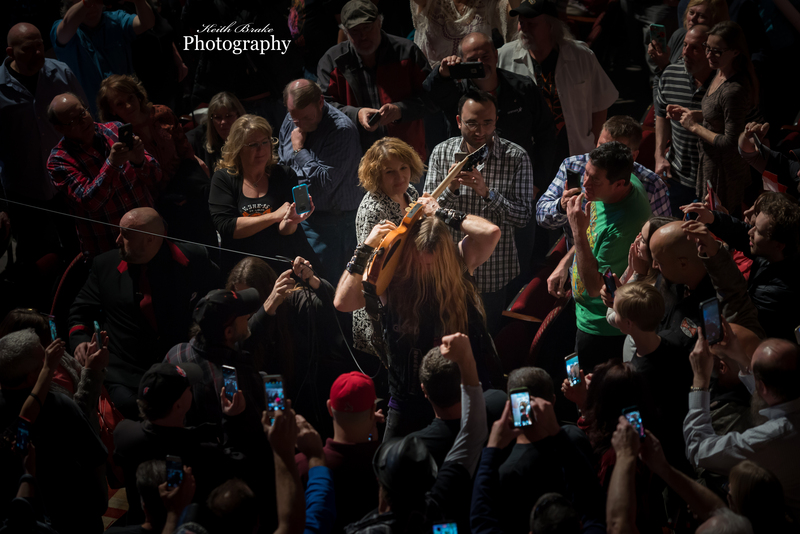 As he hoisted his guitar, playing continuously behind his head, fans took selfies and video on their phones as Zakk shredded and walked the aisles among them. Zakk also shook hands with some lucky fans at shows end. The show closed with blues legend Buddy Guy. Dressed in a black and white polka dotted shirt and dripping with swagger and soul, Buddy took the stage. The welcome for Buddy was loud and appropriate. Buddy was engaging and charismatic, a better showman may not exist. During the song “Bleeding Heart” Buddy had some fans singing along with him, that is until one unlucky fan sang the wrong words. Buddy actually lowered the music to have what we will call a “spirited” interaction with the crowd expressing his displeasure with the miscue. The interaction was, of course, in jest as Buddy was sure to tell the fans he loved them all before continuing the music. Buddy turned the last song over to Billy Cox and the selection was “Red House”. This was the perfect closure to the show, Jimmie’s last remaining band mate who happens to be one of Jimmie’s oldest friends singing one of his most well known songs. Simply put, I can think of no other way it should have come to a close. The Experience Hendrix tour is a magical evening and a trip back in time to some of the most influential music played by some of the world’s most influential artists. This is a show that I would highly recommend taking in if ever you have a chance. For future tour dates and artists please visit http://www.experiencehendrixtour.com/ . Hey I sang the correct lyric, just a measure before it should’ve been sang :). Great show great review, great memory of Buddy getting on to me. The lyric was as follows, Buddy sang ” roll me like” and I finished off time “My back ain’t got no bone. Big Momma Thornton would’ve been proud. Oh, by the way I have a very talented brother in law who took me to the show! Thanks for the Comment Bob, and thanks for the good laugh at the show, glad you enjoyed the review and images! What an amazing article! Love all the photos… Great work! Thanks Jennifer, I am glad you enjoyed it! Thanks for the feedback, it is always appreciated. Awesome review and awesome photos. Makes me wish I would have been there. Thanks Mike…and yes…you DO wish you were there! !